It's sad but true: most of us never learned how to learn, even though we're expected to do it all the time. This is especially true for college students, who fall prey to ineffective study habits, like reading their notes over and over, or worse, cramming for an exam the night before. A dedicated team of Colorado State University psychology researchers is on a mission to break the cycle, and to teach all of us better strategies for long-term learning. They've written a book outlining a science-backed approach to learning, complete with practical tips on how to study effectively—and the reasons why they work. A Guide to Effective Studying and Learning, published by Oxford University Press, is co-authored by Professor Matthew Rhodes, Professor Anne Cleary, and Associate Professor Edward DeLosh, all faculty members in the CSU Department of Psychology. Their experience as learning and memory scientists, as well as decades of established research, form the backbone of the book's major themes. Chief among those themes, said Cleary, is that learning is not intuitive. That people think it is might be why they're bad at it (and why they should read the book). "If you look at the research, learning can actually be counterintuitive," said Cleary, whose expertise is in human memory processing and its involvement in learning. "And people's subjective impressions of how well they are learning, while they are in the process of doing so, is often at odds with what they are actually learning." 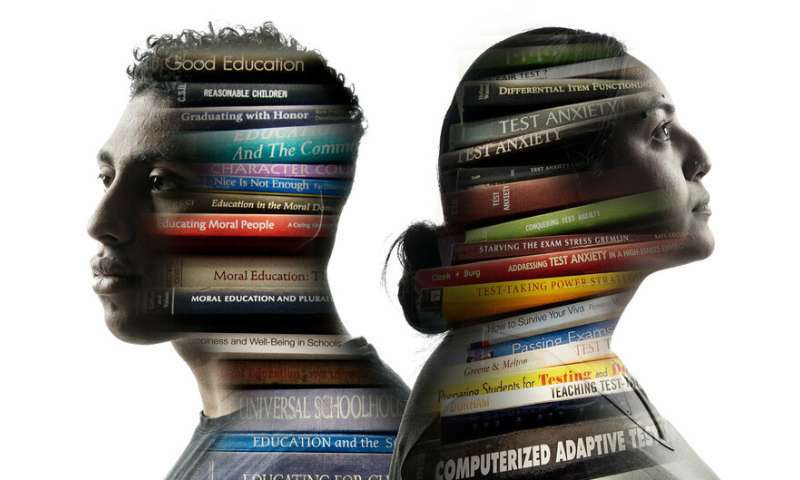 A Guide to Effective Studying and Learning is the primary text for Psychology 152, or The Science of Learning, offered as an All-University Core Curriculum course since 2015. And it's not your mom's study skills class. "It's an academic course that draws on all areas of cognitive psychology and educational psychology," said DeLosh, who researches encoding and retrieval processes in human memory. "On the one hand, it's a study skills course, but really it's a course that tells students about all the science backing the advice as to what study habits are best." The course even gives students a crash course on what "science" is to begin with, and how to suss out bogus claims that masquerade as fact. "We're aiming to also teach critical thinking, and the ability to evaluate claims about learning," Cleary added. Take, for instance, the classic adage that everyone has a "learning style—whether auditory, visual, physical, etc. While it's true people tend to prefer one style over another, that people learn best according to their individual style is a widespread belief that's not supported by "a shred of scientific evidence," the researchers say. On the first day of class, Cleary says, over 80 percent of her students surveyed believe that adhering to a preferred learning style will lead to better learning outcomes. By the end of the course, it's less than 10 percent—because it's not true, and exercises in class show them that. "Basically, we have to break you down before we can build you back up," said Rhodes, whose research is also in learning and memory. "People come in with all kinds of misconceptions. Learning styles is a pervasive one." Another example: It might not feel like it, but spacing out shorter study sessions over time, as opposed to a five-hour marathon block, will improve learning outcomes. And, learning improves when you test yourself on material, rather than simply trying to retain it. The principles are proven by science, but the researchers find that for students to embrace the principles, they need to experience it for themselves. That's why the course is peppered with demonstrations the students engage in throughout the semester, to see for themselves what works best. So why, if there's more than 100 years of research suggesting the most effective ways to learn, are people still doing it wrong? Rhodes has a simple answer. "You hang out with your memory all time, so you think you understand it," he says. "We have our intuitions about our own memory, and we assume we have a deep understanding of all the processes that go into it. It turns we're not so good at understanding our own memory after all." 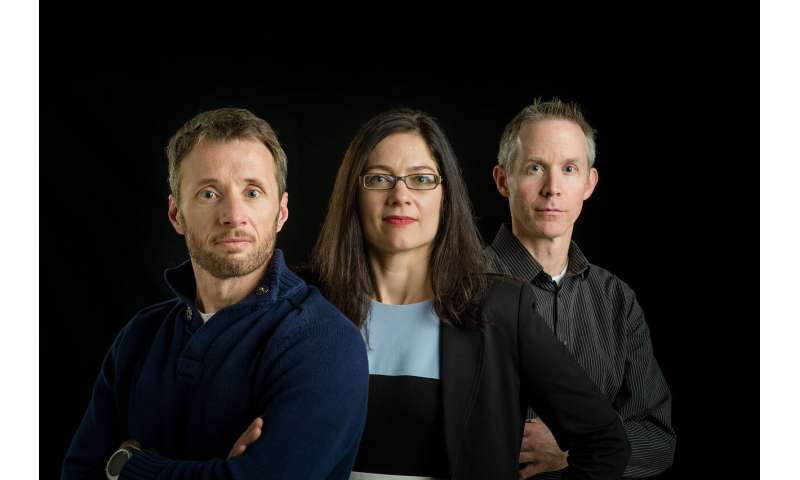 Rhodes, Cleary and DeLosh started kicking around the idea for a Science of Learning course several years ago, and the Department of Psychology piloted it in 2011 as a seminar for psychology majors. It grew from there, being offered to all students starting in Fall 2015. It is currently among the university's most popular courses, filling up every semester. The three faculty take turns teaching, and they cap sections at about 50 students to maximize small group-style coursework—practicing what they preach. Their dream is to scale up the course even further, and they are exploring opportunities to offer the course online. They've also had colleagues from other institutions ask for advice on starting up similar courses, which are rare in the higher education landscape. Beyond the course and the new book, the Science of Learning faculty are also conducting research to prove out the best learning strategies and continue refining them. Cleary has a grant from the Center for the Analytics of Learning and Teaching, piloting the use of smart watches as supplemental study aids. Test subjects are instructed to wear watches that periodically tap their wrist and prompt study questions, like "How many plates are in the Earth's crust?" Cleary's team is researching whether watch-wearers retain information better than people using more traditional learning formats. In addition, Science of Learning teachers are pilot-testing key themes by applying them to Biomedical Sciences 300, Principles of Human Physiology, a required course for psychology majors and one in which students have historically struggled. The researchers have developed one-pagers based on learning principles from their Science of Learning course that can easily slide into the Biomedical Sciences 300 curriculum. They are measuring whether small changes to students' learning strategies applied to the challenging physiology course translate to higher achievement. You'll learn better if you elaborate on the material by forming associations. Example: Instead of passively reading a text, start making connections. Ask yourself how the chapter is related to a past chapter. Jot down questions to answer on the material. Consider how you'd explain the material to a friend. Learning will happen best when spread out over time in short sessions, a practice the experts call spacing. Example: Schedule study sessions for an exam that's a week away in 30-minute blocks each day. Testing shouldn't just be used to measure what you've learned. It's a learning strategy in itself. Test yourself on information, rather than simply reading or studying it. Example: If you were learning about the French Revolution, you could create a question like, "Discuss the major causes of the French Revolution," and test yourself. This strategy works best when you're forced to generate answers, not just recognize them like in a multiple choice test.